While everyone dreams of the unlimited data usage on mobile devices, we have to keep an eye on its volumes. No one wants to pay additional fees for it. There are several ways to reduce the amount of used data by an iPhone. ​Before taking any steps, check your data usage first. If you are not aware of it, you won't be able to say how can you modify its consumption patterns. You may use AT&T, Sprint or Verizon's calculators to get an estimate of the data usage, they usually check it for the last several months. Check the recent data usage of your iPhone. Go to 'Settings' and choose 'Cellular'. Scroll down a bit, find the amount of the data under the 'Cellular data usage' line for the 'Current period'. Don't panic if the number will seem high to you. It just doesn't reset monthly, so there is a total number for several months in a row. it will renew if you tap the 'Reset statistics' button at the bottom. It will show you the latest statistics after that. ​Do you want to see the data for the current period? Visit this section when a new billing month comes and reset the stats. Unfortunately, it doesn't happen automatically every month. It is inconvenient, but the only option we have. Check how many data your iPhone has used from the previous reset. Go to 'Settings', choose 'Cellular' screen. it will show you what apps use data and how much of it do they use. Even the background processes will be shown. 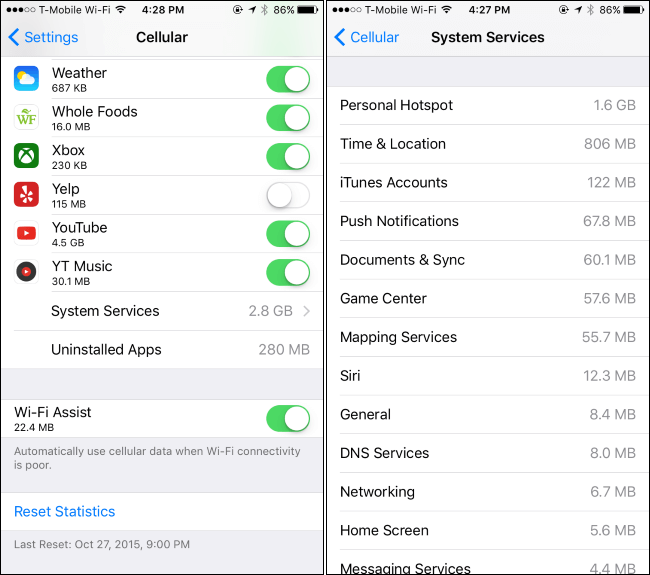 Scroll to the very bottom to see how much data is used by 'System services' that are obligatory in iOS. These apps may have their own settings to restrict the data usage. Open them and see what do their settings say. For instance, automatic downloading of content and updates in App Store can be prevented. Just tell it to connect to the Internet only via Wi-Fi. 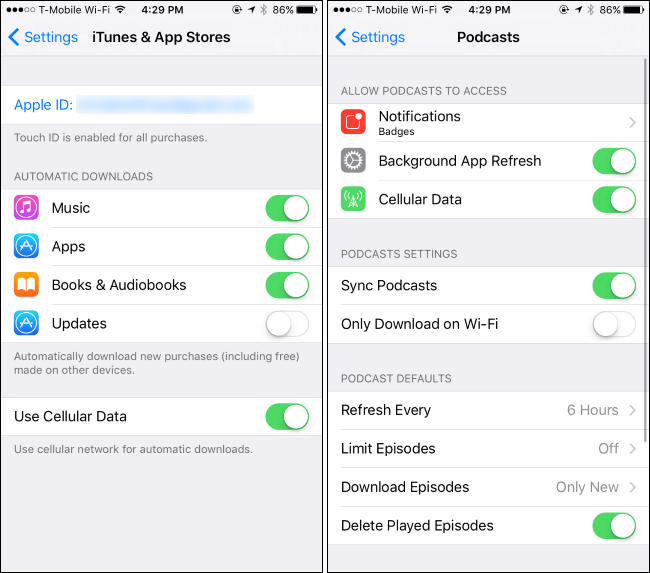 Visit 'Settings', go to 'iTunes and App Stores' and uncheck the 'Use cellular data' option, if it is necessary. Now, your iTunes and App Store will update only when you connect to a Wi-Fi network. Do you use built-in Podcasts? Tell it to download new audio via Wi-Fi. Go to 'Settings', choose 'Podcasts' and check the 'Only download on Wi-Fi' line. Some applications like Facebook have their own settings for reducing the usage of cellular data and updating and downloading the information only after connecting to a Wi-Fi network. Open the app you need, go to its settings, and look at what can be done to restrict the mobile data usage. 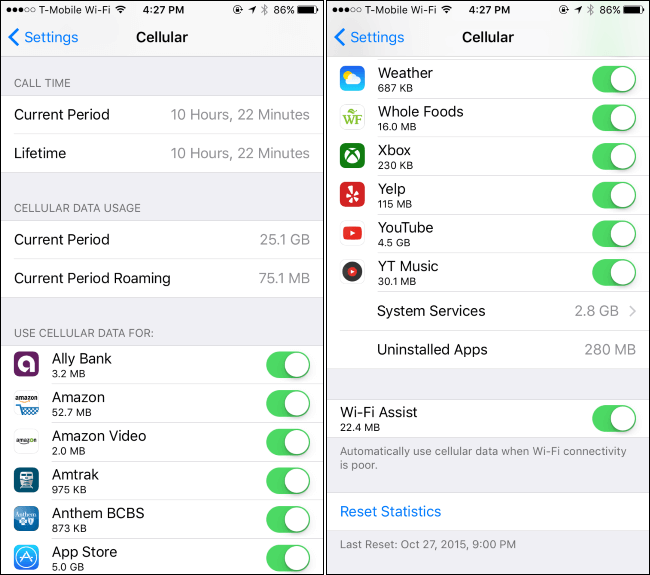 In case the app doesn't offer such an option, restrict its data usage in 'Cellular screen' that can be found in your iPhone's 'Settings'. Look at how it is done in the screenshot below. Applications disabled there will be still allowed to use the Wi-Fi connections. However, they won't consume cellular data anymore. You can ensure this and open a disabled app to check whether it uses cellular data. I bet it won't. You can find out how much data is consumed in 'Wi-Fi assist'. Find it in the bottom of the screen. This option lets your iPhone using cellular data in case the connection is not very fast. Be careful with this option, if you have a limited cellular data plan. It may eat all your megabytes. If you need, you can always disable this assist from the same screen. After releasing their iOS 7, Apple allowed applications to update and download content automatically in the background. This option is very convenient, however, it can harm iPhone battery life, as it causes apps to run and use cellular data in the background. They can be running even if you do nothing to your iPhone. The solution for this issue is simple. Disable such app refresh and restrict your applications from working in the background. You can control your apps. Visit 'Settings', choose 'General', find 'Background app refresh'. Look through the list of apps and disable the toggles next to those apps that you don't need to refresh in the background. 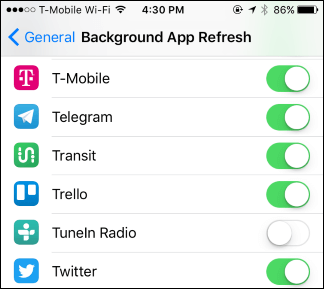 If you want to restrict all the applications at once, make the 'Background app refresh' slider inactive. You can find it at the screen top. You can also save some data by disabling all the push notifications. Though, they don't consume much data usually due to a tiny size. Your phone grabs contacts, emails, and events from the web automatically. If you use a Google acc, iPhone checks all the information on the servers. If you want to check these things by yourself, you can configure that. 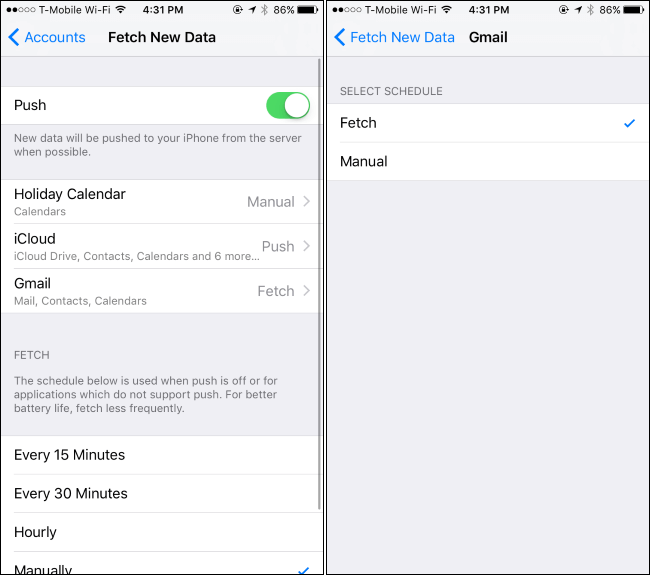 Go to 'Settings', find 'Mail', enter the 'Accounts' sections and find the 'Fetch new data' line. Adjust this option to 'Manually' to get new emails by hands, not automatically. Until now, your iPhone won't get new emails by itself. ​Get prepared in advance and have no need to use much data. For instance, if you want to listen to the music in Spotify or any other music app, download the music files and use Spotify's offline feature. Surely, you are used to streaming them from online, but downloading them via Wi-Fi won't be a problem, believe me. 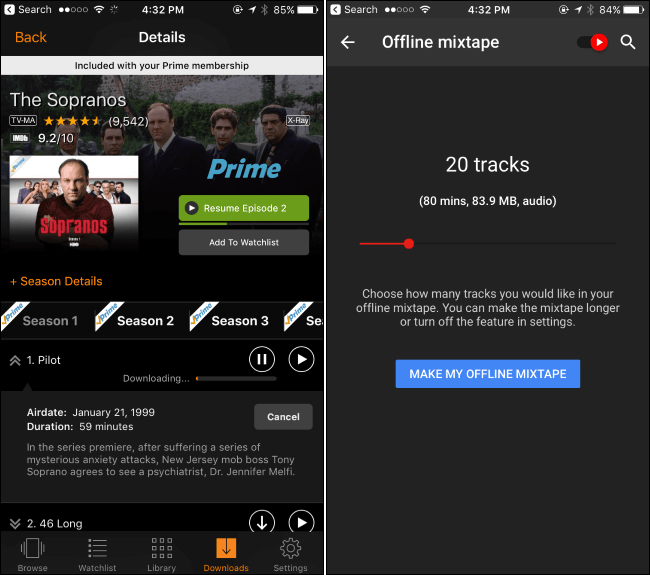 Users who have YouTube Red or Amazon Prime can download vids from YouTube or Amazon for watching them offline later. Google Maps can cache your area, so you'll be able to use them offline too. You can even use the navigation service with the offline maps without using the Internet connection. Just think beforehand what you will need and try to get this data in advance. ​The last resort is the complete turning off cellular data. Visit the 'Cellular' screen and switch the 'Cellular Data' off. Your iPhone won't be able to use it until you turn it on again. It is a nice solution in case you need it from time to time, but want to avoid potential fees for over-usage of cellular data. From the same screen, you may also turn off cellular data while roaming. 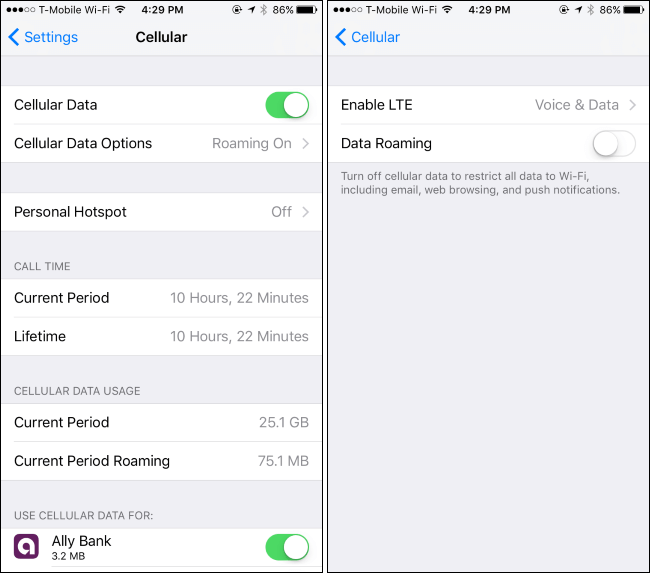 Choose 'Cellular data options' and turn off the 'Data roaming' option, if it's necessary. Your iPhone won't connect to the Internet while you're traveling. You may not follow all these steps, but some of them can help you to keep an eye on the data allowance. So, you will manage your data usage and avoid any additional fees for that. However, I hope that you won’t face such a problem in future.